Once considered the less sophisticated cousin of Dublin, Belfast is now beginning to eclipse its larger neighbor in southern Ireland and – like the Titanic, built and launched from there – is emerging from the depths as a growing tourism destination. In fact, the Titanic, a product of the city’s historic Harland and Wolff Shipyard, is one of the main reasons for Belfast’s recent resurgence in visitor popularity. 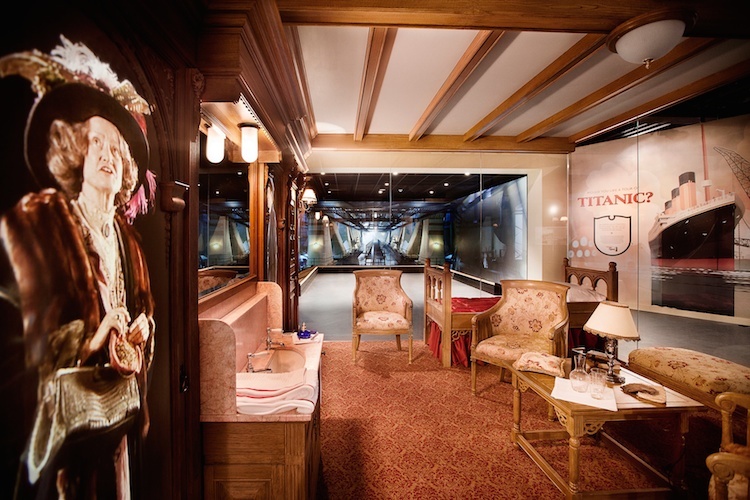 With tens of millions of euro, a special area known as the ‘Titanic Quarter,’ on the large expanse of land on which the shipyard once stood, has been re-developed into a series of museums with the luxurious yet tragic cruise ship as the central theme. And this month the area celebrates several major anniversaries. The main museum, known as the ‘Titanic Experience,’ and boasting more than 1.5 million visitors so far, celebrates its second year of operation. The 14,000 sqm (150,700 sq.ft.) venue accommodates nine galleries of interactive exhibition space, including a dark ride, underwater exploration theatre, recreations of the ship’s decks and cabins and a luxurious conference and banqueting suite with capacity for up to one thousand guests. The building was constructed by Harcourt Developments, which together with Belfast Harbour Commissioners are the developers of Titanic Quarter. A new ‘discovery tour’ starting from the museum opened several weeks ago by which visitors, with special earphones, accompany a guide on a walking tour encompassing the drawing rooms where the huge ship was designed by Thomas Andrews and his colleagues, as well as the exact spot upon which it rested while being built. In addition, the nearby Titanic Dock and Pump-House, where the ship was outfitted was opened exactly a year ago, as was the SS Nomadic, a large tender boat that brought passengers out to the 269-metre long Titanic as it lay offshore. An elevator takes one up to an upper floor to indicate the sheer height of the vessel and a seated ride takes one down into a replica of the belly of the ship where visitors watch videos of riveters, fitters and other specialists at work. Revolving 360-degree color slides grant dramatic glimpses inside the ship, from the belly where stokers shoveled coal into fires to feed the engine, upwards into third, second and finally first-class compartments, all the way to the top of the ship’s mast. There are also exact replicas of rooms in each of the various classes. The most dramatic aspect of the museum, however, is its depiction of the actual sinking of the vessel, with recorded voices of survivors telling what happened giving one an idea of what it must have been like to have been onboard as it slowly slid down into its watery grave. Telegraphed distress calls from the Titanic and messages among ships in the area are also shown, as well as information focusing on the ensuing investigations into what was the world’s worst civilian marine disaster. Those involved in the arts will be attracted to the room devoted to literary and cinematic depictions of the tragedy that killed more than 1,500 people. The informative walking tour of the SS Nomadic is made even more enjoyable through the use of talking models on screens, such the bartender in the first-class compartment and the coal fire stoker. The tender went through several ‘lives’ after the Titanic’s sinking, becoming a minesweeper, a troop carrier and a tug-boat before being purchased in Paris, transported to Belfast and renovated. The Dock & Pump-House in the Northern Ireland Science Park, a 15-minute walk from the main museum, is impressive in its authenticity. Here, visitors walk through the vast, ghost-like engine room housing the huge pumps, now partially rusted, that drained 21 million gallons of water (equivalent to 172 full-length swimming pools) from the dock in 100 minutes. They then wander out into the 270-metre long, 13 meter deep, dry dock itself, now unused, where the Titanic stood while being fitted with complex equipment. The structure took seven years to build, opened in 1911 and operated until 2001. Not all the Titanic Quarter is devoted to the ship and its history. 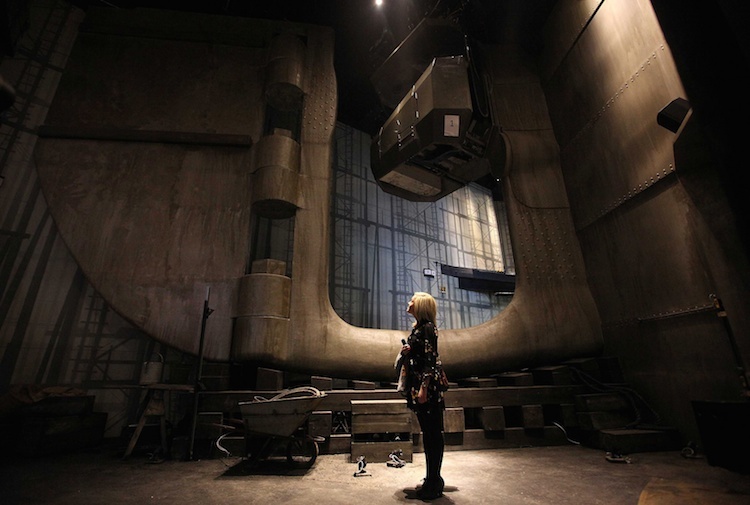 Titanic Studios, a large warehouse of a building and growing hub for film-making, is located behind the main museum. Here much of HBO’s ‘Game of Thrones’ is being shot, as is a ‘Dracula’ movie. In an effort to further diversify activities in the area, investors and tourism officials also built the multi- purpose Odyssey Arena complex , which includes the indoor section, a 12-screen multiplex cinema and a pavilion of bars and restaurants. With seating for 10,000, the arena hosts performances and sporting events and is also home to the city’s professional ice hockey team, the Belfast Giants, which recently won the British Elite League. In terms of accommodation, there’s no more convenient place than the Premier Inn , located right in the heart of the Titanic Quarter within a short, easy walk of the various Titanic-related museums and the Odyssey, as well as downtown Belfast itself (City Hall is a ten-minute walk away). The hotel is quiet, staff are friendly and helpful and some rooms have nice views down over Belfast Lough (see photo), the River Lagan and the cityscape beyond. Breakfast is self-service, offering more than adequate choice for the price (I particularly liked the sausages). The hotel’s Thyme restaurant provides a variety of dishes, ranging from starters including garlic bread, chicken wings and soups to mains such as burgers, steaks and pasta. There is little doubt that the Titanic Quarter has enhanced Belfast’s tourism brand, and will continue to do so as the area itself expands, with plans to add even more attractions, not all linked to the history of the ill fated cruise ship. Posted in DestinationsTagged bars, Belfast, Belfast Giants, Belfast Harbour Commissioners, boats, British Elite League, City Hall, Dublin, experience, Game of Thrones, Harcourt Developments, HBO, hotel, multiplex, museum, New York, Northern Ireland, Odyssey Arena, Premier Inn, river Lagan, science park, ship, Southampton, SS Nomadic, Thomas Andrews, Titanic, Titanic Dock and Pump-House, Titanic Experience, Titanic Quarter, Titanic Studios, tourism, White Star LineBookmark the permalink.